What could possibly be the benefits of trying to make some sense from a completely senseless position? I would never encounter anyway, in real practice, such meaningless dispersion of the chess pieces. I would never gain anything, right? There are no patterns, no strategical ideas, no real plans, just some mating idea which could give you nightmares if you don't see it fast enough. At least this is what I thought for some time...and only because I was getting bored in buses or just to try something different, I looked upon such diagrams. After all, it is fun. Studies are different, I thought. Yes, there is some logic over there, sometimes these ideas can be seen even in 'normal' games, so this I understand it might be useful. But mate in two, in three, in four, or even much worse: in five or six?? To get a headache for nothing? No thanks! Many times I hear (which happens to me as well): "I simply 'forgot' about my pawn on the other wing"; "I missed that check on the fifth rank"...horizontal, backwards, intermediate moves, we all miss them sooner or later. It's not that easy to see all the 64 squares at once! Our attention is limited and it is often dragged by some 'interesting' area on the chess board, neglecting the others. And than we wonder: how could we miss this or that move? 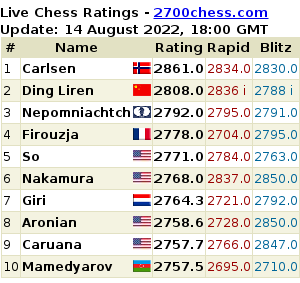 This is the moment where mate in 'n' problems might help: to grasp the sometimes very surprising way that pieces can interact with each other. You are literally forced to consider all the corners of the board, to ask yourself questions: why is that pawn doing over there? is this really the best defence? After the first shock, after the first sigh (which could be translated as: what the hell is going on?! ), you realize that you start to understand something. That you start to grasp the hidden ideas and eventually get to the essence of the problem. And voila: you succeeded to coordinate your pieces, to see all the pins, intermediate moves, checks and tricky annoying traps. I believe it is an excellent exercise for the brain, to make him used to put all the pieces of the puzzle together. And when you'll be on the board, playing the so called 'normal' game, you'll simply drop the pieces and they will fall on the right squares! That's because your gray matter will be fit and alert, in order to see the geometry behind all the squares and pieces. Plus, if you give it a chance, you will discover another world of beauty, another way to approach chess. And, without any exaggeration, some of these problems could be considered an art form! No wonder that Vladimir Nabokov wrote about the "originality, invention, conciseness, harmony, complexity, and splendid insincerity" of creating chess problems and spent considerable time doing so. I am not claiming that this way of training your brain is better than others or the best. It is just a way. Another way. Thanks for the mind challenge! :)) Da, Alina. Nu va disparea niciodata... E ca un loc frumos in care imi face placere sa ma intorc uneori. When reading this article I had to share a problem I've solved a while ago. Mate in 3. Sounds easy enough doesn't it? 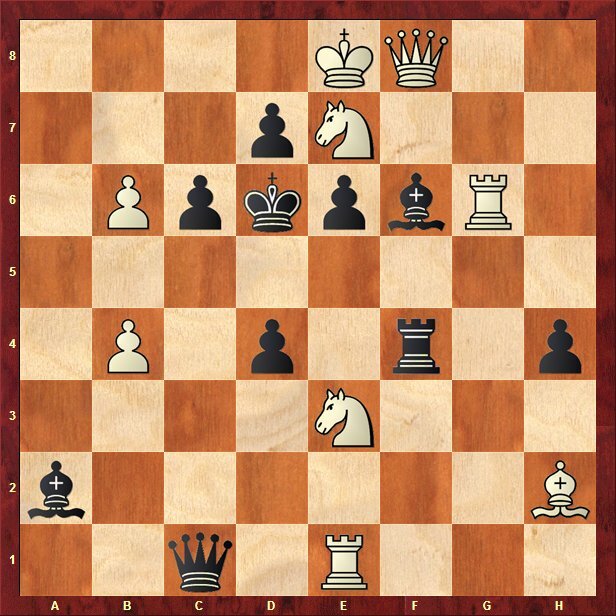 White moves and mates in three. With a friend I spend a couple of hours in the afternoon blitzing and solving and creating chess-puzzles. We could not solve this one, skipped it went back to it later and still could not solve it. I was slightly upset that I was such an idiot that I could not solve a mate in 3 that I took the diagram with me. Whilst watching TV and doing chores around the house I kept half an eye on the diagram. Finally very late in the evening I found it. @Alina: Thank you for posting this famous composition on your website. Please also mention the author and the source: Giorgio Guidelli, 2nd Prize L'Eco degli Scacchi 1916-17. @Siebren: Do you know the author and the source of the interesting three move composition you have posted in your comment? @FairPlay: Will do it right away! @Alina: Siebren three mover is correct, but very tricky to solve! Hint: Please find black last move. @FairPlay: Is it simply taking en passant? Can you prove that Black's last move was not exf3 or gxf3? Yes, this problem has a small retro contents. 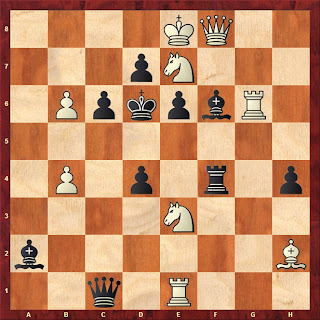 Please count the number of white pieces (14) and the number of captures made by black pawns in the initial diagram (1). A capture exf3 or gxf3 requires a 17th white piece, which is not available. After you have seen why the en passant key is possible, try to find the threat and the continuation after black defense. You will be amazed, I am sure! Especially when your husband puts not two but only one knight on the board. esti sigura ca nu exista o greseala gramaticala in expresia asta ,ordinea din haos,? As robberies go, this louis vuitton outlet downtown Paris heist was executed in a relatively genteel, civilized manner. Perhaps cartier replica that's because it was conducted by rolex datejust replica women -- or at least, men dressed to look like women. These salespeople are driven to utilize sources to accomplish Michael Kors Handbags outcomes whilst reaching a measurable return with that expense of sources Chanel Replica bags. Effective marketing requires people who will properly determine which prospective customers will give the most effective return proportionate to the work Michael Kors Replica. This utilitarian generate is good in promoting. A powerful salesperson is actually sorting the puzzle items of details theyve gathered throughout the offering approach hoping out the remaining pieces for you to possibly near the offer or even find a brand new prospect designer replica handbags online. Choosing salespeople who dont have the actual utilitarian inspiration is large threat to say the least. Other motivations possess a want to assist folks, turn into an expert, be inside a place of energy or establish principles for other individuals to adhere to. ray ban sunglasses sale uk very surprised ray bans sale uk online asked. Haha, you do not be silly, I'm just playing with ray ban sunglasses sale uk you nothing, and now I am tired and do not want to tell you to play. ray ban sunglasses sale online Drizzle sneered. cheap can not believe this sentence is from the rain out of his mouth to say, in any ray ban sunglasses sale uk case can not believe it. It is said ray ban sunglasses sale uk that on my arms with my girl you a lifetime together. polo ralph lauren pas cher Noting cheap polo ralph lauren pas cher man said, you quickly look ah, over there. Viagra looked polo ralph lauren pas cher up, sweep a circle, eyes stopped at one place, http://www.niveaspecialk.fr the reigning stay. Two polo ralph lauren pas cher eyes always look as ralph lauren pas cher if braving hearts, I do not know saliva or noodle soup juices flow out along the mouth. .
Want to know all the latest news of Euro Cup 2016,just click Euro Cup 2016 live"
Really structured and useful information. And everything is clear, thanks. www.proessaywriting.com I looked through some posts and must say, they are very interesting. Best regards, essay writer. I'll use this information for my essay topics. Reimburse the advance sum and move ahead the intrigue charges to a different credit.
. You may likewise be required to have an open, dynamic financial records that has no less than a couple bucks in it to show confirmation that your check is great.